Chamois Road (front) will run in the Chester Manifold at Flemington as topweight. Trainer Patrick Payne will chase feature race wins in two states with Chamois Road to line up in the Chester Manifold Stakes in Melbourne while Husson Eagle and Zizzis are set for Magic Millions races at the Gold Coast. 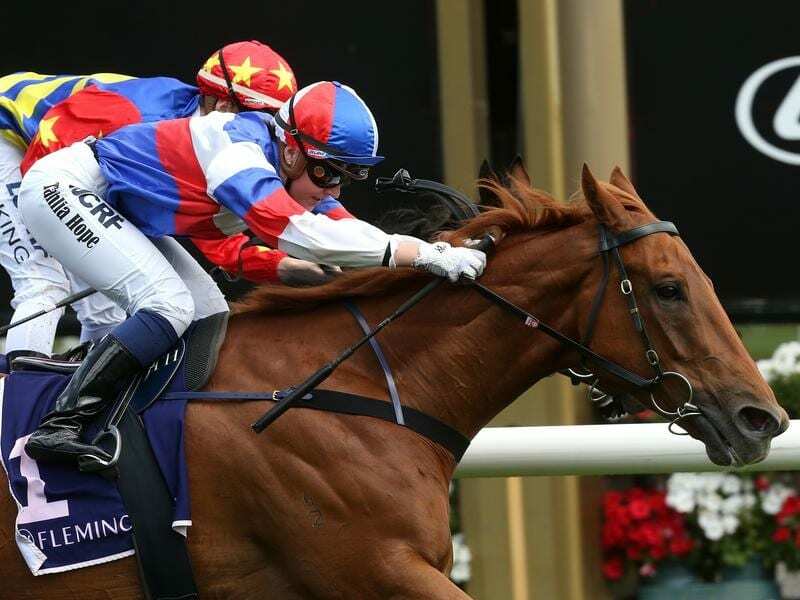 A last-start Flemington winner in an open handicap last month, Chamois Road finished runner-up in last year’s Chester Manifold (1400m) at Flemington and is back for another crack at the Listed race. But as the highest-rated runner among the 18 entries, the consistent six-year-old gelding will have to carry top weight of 60kg, 4.5kg more than last year. “He’s tough and he’s jumping out of his skin so I’m looking forward to going to the races with him,” Payne said. “Fitness-wise and the way the horse is he’s exactly the same as last year, he’s definitely not any worse, but the difference is he will be up high in the weights this year. Chamois Road has been placed at Listed and Group Three level but is yet to win at stakes level. Michael Dee has been booked for the ride. Payne has Husson Eagle set for Saturday’s Magic Millions Cup (1400m) at the Gold Coast and Zizzis in the Magic Millions Guineas (1400m) for three-year-olds. Both horses had their most recent starts in Sydney and the trainer said the two were scheduled to travel from Sydney on Tuesday. “They seem in really good shape,” Payne said. “Husson Eagle is in good form this preparation. “I think he’s looking for 1400 metres now and I think Zizzis is going OK.